I95 Exotic Car Rental is hosting THE ULTIMATE EXOTIC CAR TOUR where YOU get to drive 5 exotic cars ( 1 Million Dollars Worth) on a 5 hour tour of Miami’s best roads. For just $599/driver you will experience the thrill of driving the most exciting supercars of the world. You can also bring a passenger with you to enjoy your experience with for just $49. IT IS THE BEST GIFT for anyone, especially a car enthusiast. We GUARANTEE you will have the time of your life and one of the best days of your life. Your day starts from the first minute you walk into our office. 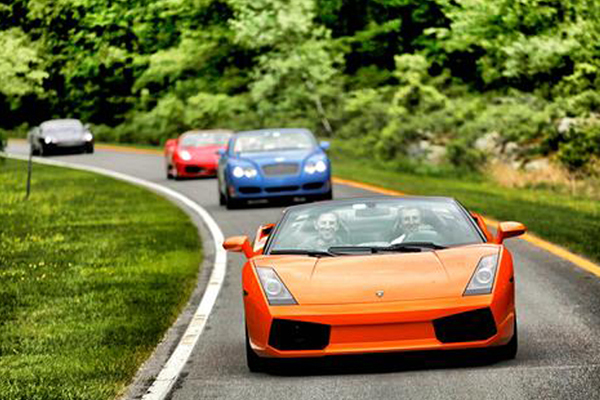 You meet the other participants on your session; The wonderful thing about the I95 ULTIMATE EXOTIC CAR TOUR is that we’ve had 100s of participants from age 21 to age 81 coming from all over the world But one thing’s for sure — everyone shares a passion for EXOTIC CARS. We then gather for a short safety presentation during which we introduce the I95 Exotics staff, do an overview of the vehicles you’ll be driving, and answer any pre-Tour questions. Our trained professional staff will give you a complete overview of each vehicle – including full instruction on the operation of certain vehicles’ electronic “F1-style and E-gear” transmission. You’ll be driving like a pro in no time! Of course, then it’s time to hit the road – you’ll get behind the wheel and embark on a heart-stopping 150 miles trek through the area’s best curvy roads. We’re confident that we’ve found the absolute best roads the area has to offer – you won’t be disappointed! Every 40 minutes, we’ll pull over at designated checkpoints and participants will switch cars. Then it’s off for another romp behind the wheel. Every participant will have the opportunity to drive all the cars. Finally, we’ll return to the office – exhausted and exhilarated – and wrap-up the day. We promise you a day of driving you will never forget.